We provide a wide variety of flooring solutions for all sizes and décor choices. Our selections include laminate flooring, solid wood flooring, carpets, vinyl, rugs and many more. We also specialise in the supply and fitting of contract quality commercial flooring, office flooring, carpets, safety flooring, tiles, laminate flooring and solid wood flooring from all the leading manufacturers. We have carefully selected the best ranges for our showroom. We offer the widest choice of wood and laminate in Gloucestershire. View some of our product categories to see some of the products we supply & fit. We have a wide variety of brands on display in our carpet showroom. 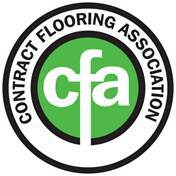 We are members of the Contract flooring Association one of only two members in Gloucestershire who install commercial carpets and non-slip vinyl’s to a high standard into schools/ offices/ hospitals so why not try us others have. Click on the button below to view our latest case study from PCA Predict.